This is an another example of a part from our client in the growing Medical/Robotics industry. As shown below this tricky job was split on two 5 axis operations. 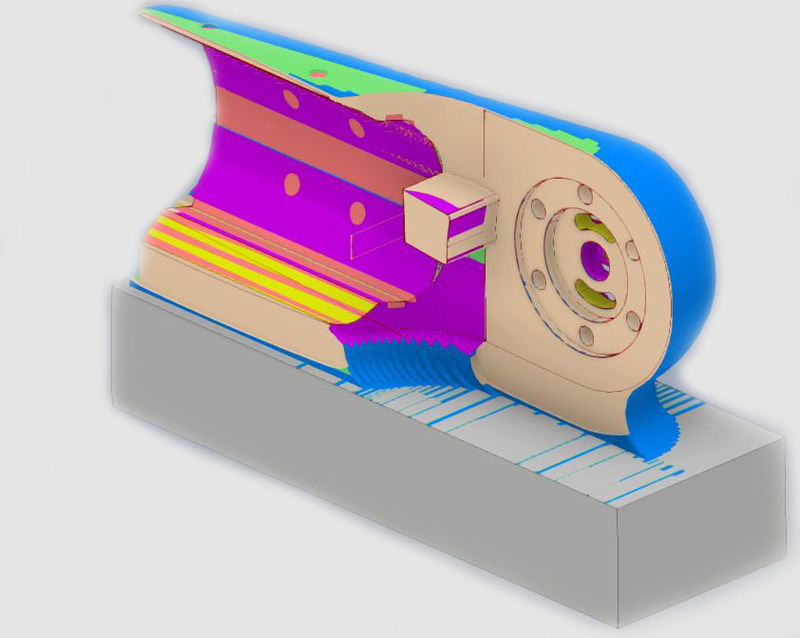 This complex parts was programmed using Autodesk Inventor HSM. 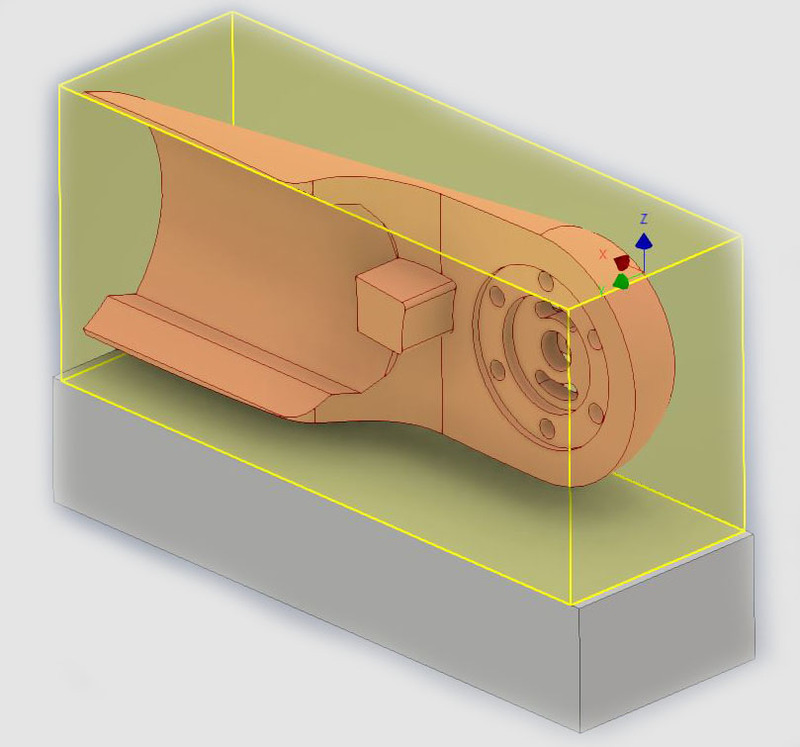 5 Axis was required to machine the various angles surfaces and profiles. This part also required a very precise fixture to finish the second operation. Lastly we used CMM measuring equipment to insure this part along with many others will fit perfectly. More information about machining of aluminum parts. Here is an example of how we do 5 axis CNC machining.